Now Acai supplement contains Acai Berries which are one of the planets most remarkable and nutritious fruits. Acai Berries naturally contain Vitamin C and are an excellent source of polyphenols, including rutin, anthocyanins, and catechins. Acai is also naturally rich in ellagic acid. These and other antioxidant compounds protect tissues from free radical attack, a key factor in healthy aging. The nutrients and antioxidants in Acai also help support a healthy immune system response through their modulatory effects on Nitric Oxide (NO) production. 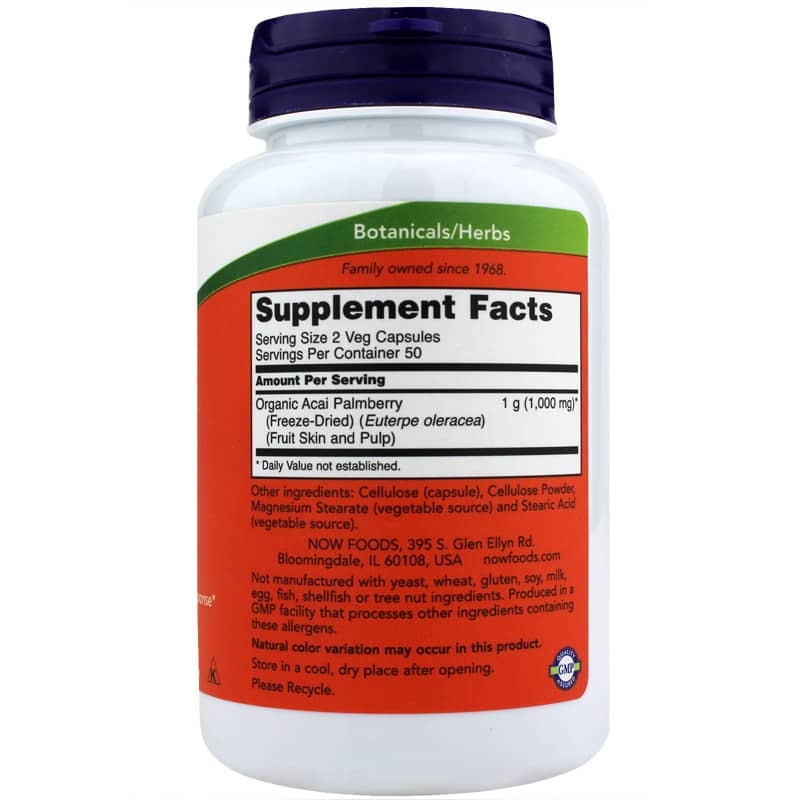 Each of these effects is also important for the support of healthy heart and blood vessels. 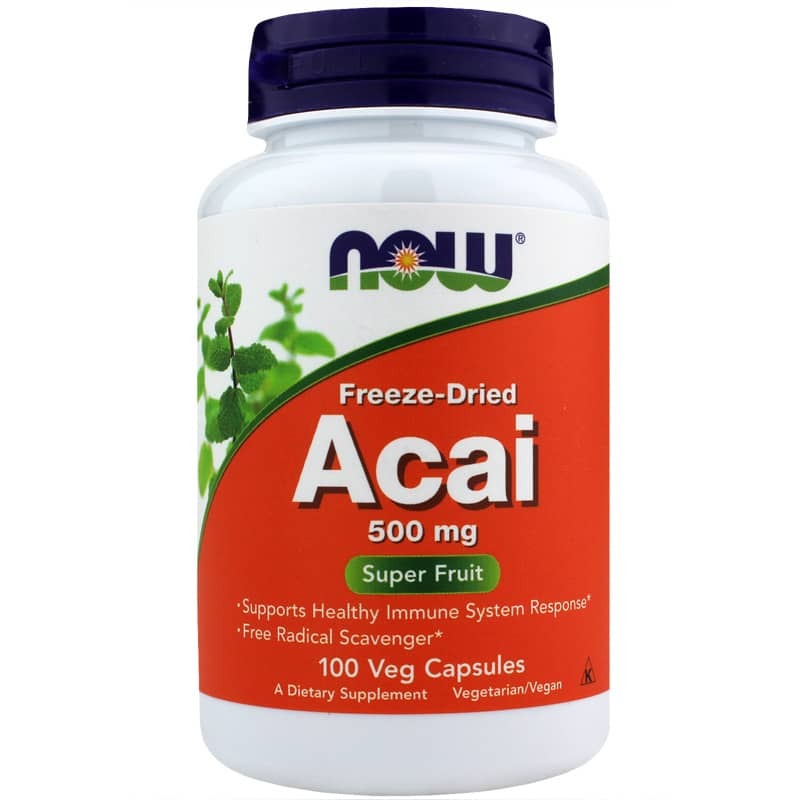 * NOW uses only solvent-free, freeze-dried Acai Berries to ensure that all the nutrients present in fresh Acai are retained. 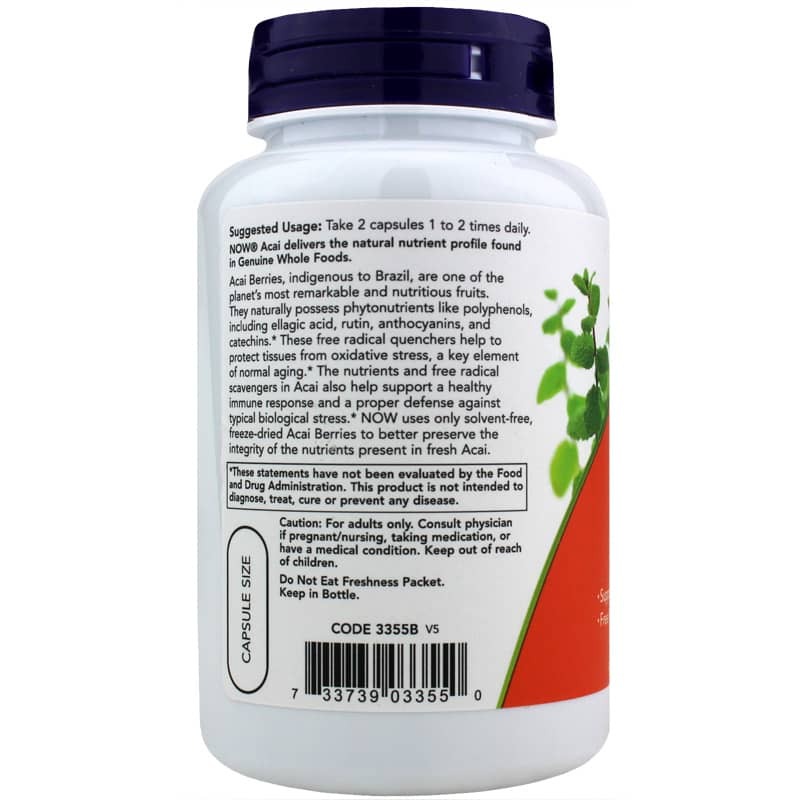 Adults: As a dietary supplement, take 2 veg capsules 1 to 2 times daily.